We designed the Embroidered Cat Tunic after requests for a shirt with feline finesse™ that could be dressed up and/or be casual. The tunic length shirt will cover your tail and the rayon/spandex fabric blend will drape and not be too clingy. 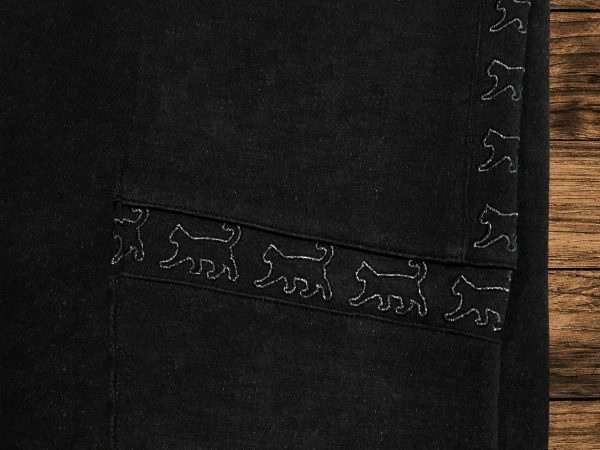 We added the embroidered cat silhouettes down both sleeves and around the 3/4 length sleeves. The Embroidered Cat Tunic is currently available in Black and Gray. The black is equally beautiful but a bit harder to capture photos. 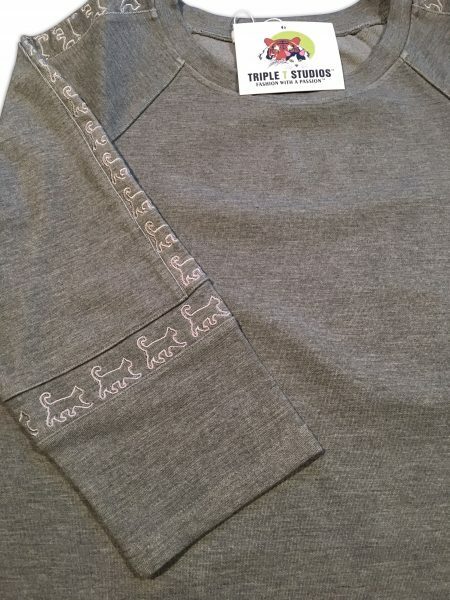 One member of The Tiniest Tiger community will receive their choice of Black or Gray and their size of the Embroidered Cat Tunic from Triple T Studios. Enter your information in the contest widget so we know what size and where to ship if you win. Let us know in the comment section below: What do you think of the Embroidered Cat Tunic? Will you choose Black or Gray?